Living a Fit and Full Life: Celebrate National S'mores Day on August 10 and Support Literacy with Dollar General! Celebrate National S'mores Day on August 10 and Support Literacy with Dollar General! 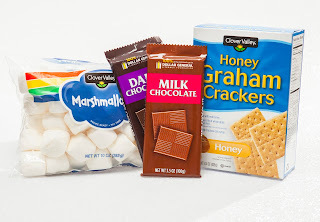 Commemorate the day while supporting literacy and education with these tasty and easy Smore's ideas! 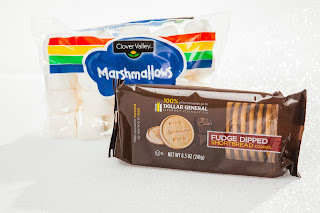 Toast a marshmallow and place between two Dollar General Literacy Foundation shortbread cookies. Paired together a toasted marshmallow, a square of Dollar General Literacy Foundation chocolate and two honey graham crackers. Featured cookies and chocolate are only $1 each and all proceeds benefit the Dollar General Literacy Foundation, which awards approximately 12 million annually in grants to support adult, family, youth and summer reading programs across the communities Dollar General calls home. Click HERE to find a Dollar General store near you! Click HERE to learn more about Dollar General! Follow Dollar General on social media!